If you were to make a list of the most common ways a sprinkler system gets damaged, hitting a line with a shovel or running over a head with a lawnmower would definitely be in the top spots. Sprinkler repair crews spend much of the summer taking care of these kinds of problems. Not all damage is caused above ground however, and what happens beneath your yard can cause plenty of headaches too. 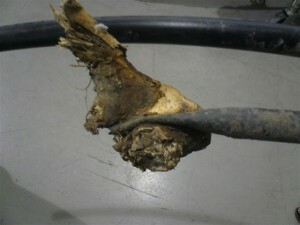 For example, over time, pipes can crack simply due to age and wear and tear from the weather. This is particularly true if the pipe is made of PVC. 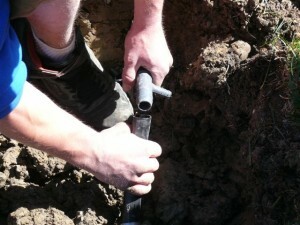 Even a small crack can allow dirt to get inside the pipe which can eventually cause a clog. 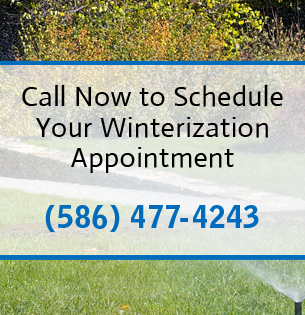 One way to reduce the chance of cracking is to winterize your system properly (which we would be glad to take care of for you). If a crack or line break does occur, it is usually not that expensive to fix, especially if it is taken care of as soon as it is discovered. In addition to cracks, the other big potential underground problem is damage from tree roots. Even though it’s not that easy for a person to bend or crush a water line pipe with their hands, you’d be amazed at how much damage just one tree root can cause. Unfortunately, tree root damage can also be a bit complicated to fix because it is sometimes hard to find where the line has been choked off. If you are experiencing low water pressure in just one zone, or area is not getting water and your yard has trees, a root might be your culprit and it’s time to call for professional help.